Hey, guys! In celebration of reaching 1400 on facebook, I wanted to do a few giveaways for you all. I was so happy when I was contacted by the owner and designer of Chargrels Couture to host a giveaway of one of her custom designs. 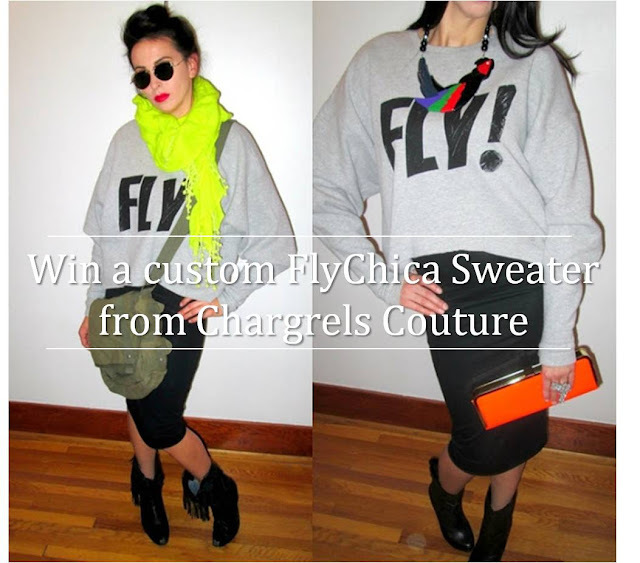 Charketa has designed custom pieces for the every day Flygirl to the celebrity Flygirl. 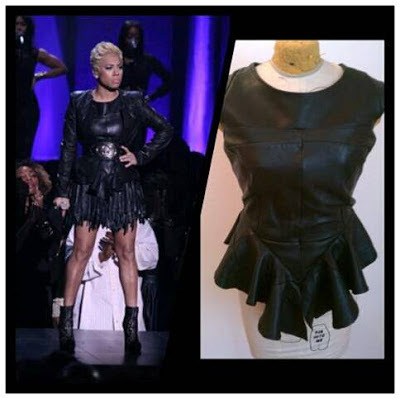 Creating custom pieces for Keyshia Cole, Dawn Richards of Danity Kane and Lalah Hathaway just to name a few. Char's designs are unique, one of a kind and definitely head turners! Each piece definitely makes a statement and her range is truly versatile. If you are looking for a custom designed one of a kind garments you should definitely check out Chargrels Couture! Naturally, I'm pretty excited to feature this giveaway on Style Chic 360! One lucky winner will win a custom FlyChica Sweatshirt. The winner will have the choice of color of the sweatshirt and also the ink color. The sweatshirt is available in sizes X-Small to 1X. The rules are simple! Please enter using the rafflecopter below. You can sign in using your email or facebook account.